While more generic drugs are being approved, they are often versions that only marginally reduce prices, a new study found. 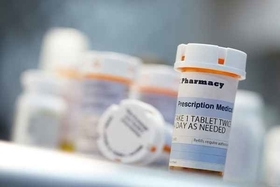 About 2,700 new generic drugs were approved from 2012 to 2017, up nearly 17% from 2008 to 2012, according to a new research brief from Pew Charitable Trusts. But most of those drugs are later iterations, not the second or third generics to market that most significantly lower prices. Nearly 550 off-patent brand drugs still lack competition, according to the Food and Drug Administration. Bringing more generics to market is a good thing, but the research illustrates that more progress is needed to boost competition, said Allan Coukell, Pew's senior director of health programs. "The fact there are more than 500 products without competition may tell you something either about the attractiveness of the generic markets or the well-documented barriers in bringing certain generics to market," he said. Approving more generics has been the FDA's main strategy to curb drug prices. It has tried to streamline the approval process and cut down tactics branded-drug makers have used to thwart competition to keep expensive branded drugs in check. Generics account for about 90% of all U.S. prescriptions, yet only about a quarter of drug spending. Still, a Kaiser Health News analysis found that nearly half of the newly approved drugs haven't made it to market. Patent-preserving tactics, cash payoffs, market consolidation, shrinking margins and business strategy all play a role, experts have told Modern Healthcare. Ones that do make it to market are typically fourth, fifth, sixth or even later generic versions, Pew found. Subsequent generics were responsible for 92.3% of the increase in FDA approvals from 2012 to 2017. Comparing fiscal 2008 to 2012, the FDA approved a total of 30 more first, second and third generics, an increase of 4.2%. During the same period, 361 more subsequent generics were approved—an increase of 22.6%. By fiscal 2017, subsequent generics made up 78% of all abbreviated new drug approvals, a substantial increase from the 67% to 71% of approvals made from 2008 to 2012. On average, the first generic competitor prices its product only slightly lower than the brand-name manufacturer, according to the FDA. However, a second generic manufacturer reduces the average generic price to nearly half the brand-name price. The third reduces the branded price by 56% and the fourth by 61%, the fifth by 67%, the sixth by 74% and the seventh by 77% on average. "I commend the work the FDA is doing for bringing more competition to market, but if they are not the right drugs the price effect is very minimal," said Michael Rea, CEO of Rx Savings Solutions, which helps health plans and employers manage drug costs. Still, having at least half a dozen competitors is better than only having a few given the fragility of the supply chain and branded drug manufacturers' ability to manipulate the system, he added. The Generic Drug User Fee Agreement, which was renewed in 2017, allowed the FDA to hire more staff and directed the agency to cut down the backlogged applications and speed up the review of new generic applications, with first, second and third generic applications getting the priority. In addition to patent manipulation, exclusivities and other factors, bioequivalence tests are another barrier for getting early generics to market. About 30% of new generics fail bioequivalence tests, according to the FDA. Denied applications typically stem from inadequate "chemistry, manufacturing, and controls" and "inadequate facilities." In 2017, about 12% were due solely to a facility deficiency. The latest iteration of the user fee agreement aims to ease the application process in part by boosting communication. Before the Generic Drug User Fee Agreement, the first-cycle approval rate was less than 1%, according to the FDA. That had increased to 9% by March 2017, but multiple review cycles continue to pose challenges to reducing approval timelines, Pew found. Congress should consider policies beyond stimulating competition, such as changes in coverage and reimbursement policy, particularly in markets where generic or biosimilar competition is blocked by patents or exclusivities, Pew researchers said. The Creates Act is one piece of legislation aimed at preventing anticompetitive behavior, specifically when branded-drug manufacturers restrict access to samples that generic companies need to develop competing pharmaceuticals. Congress advanced legislation to ban gag clauses that prevent pharmacists from telling patients that they can save money by paying out of pocket rather than through insurance. The FDA published a list of sole-source off-patent branded drugs. The Federal Trade Commission has also tried to crack down on pay-for-delay practices. Pew's report only analyzed small-molecule drugs, not biologics that are made from living cells. Developing a robust biosimilar market will be a key element of limiting drug spending in the future, Coukell said. "Biologics still aren't facing robust biosimilar competition even at the end of the exclusivity period because of the number of patents and litigation required to get to market," he said.